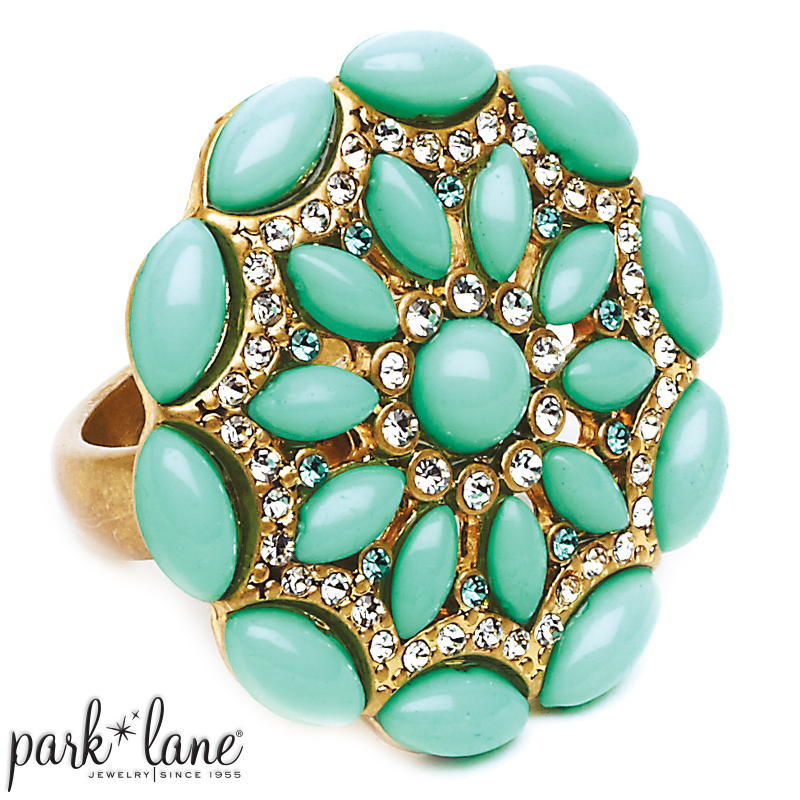 Mint-green cabochons and clear Austrian crystals accent this brilliant flower ring. Matte, gold tone plating. Available in sizes 5-10.